I’m finding it hard to even start this post with there being so many products to describe and review, yet I wanted to put together a run down of some BB Creams and tinted moisturisers I’ve been trying out recently and loving. Lets start from left to right, as that is the order in which the swatches are laid out above along my arm. Starting with the Body Shop Tinted Moisturiser. I have used this since I was 16. 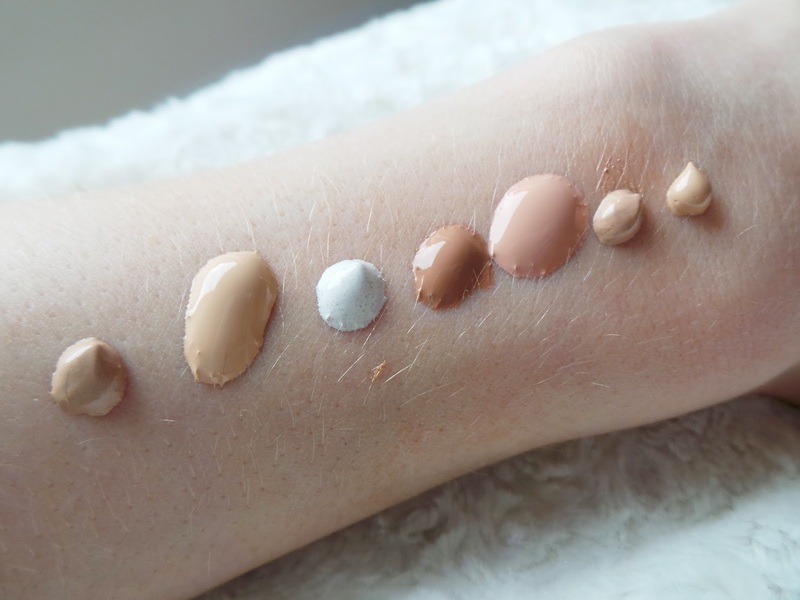 It was my foundation for years as it was a good coverage and I felt that using this was saving my skin a little bit, rather than plastering myself in foundation. It was perhaps a touch too dark, but nothing a little bronzer on the neck couldn’t handle, but now that I tan myself, the colour is pretty perfect. I would say someone will oily skin might not like this as much, so I’d probably swatch this in the store first, but the finish is semi-dewy and probably medium coverage. But great as a change from foundation if you still like a good coverage. Next is the Nard Tinted Moisturiser in Finland. I bought this about two years ago and I took it with me to America last year to wear as my every-day cover. This is an older review of this that I wrote a while ago now, gosh how different I look. Anyway, It is a fantastic light-medium coverage if your’e looking for something lighter for those no-make up days, but just enough coverage that you don’t feel bare. Finland is quite yellow toned which I love, and the consistency of this is fairly runny, so you can really buff it into the skin beautifully. 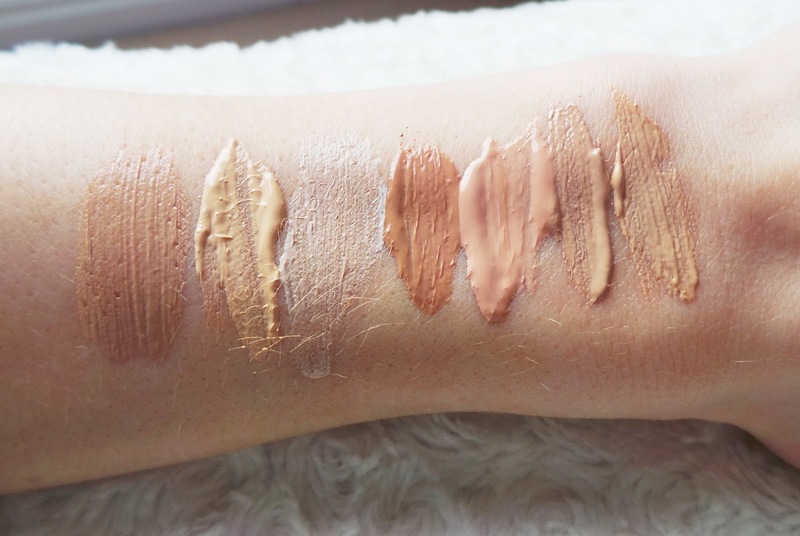 It reminds me of foundation when I wear it, because the coverage and finish really is that good, but you get the benefits of just wearing a moisturiser. The white liquid is the Body Shop BB Cream which I am wearing just below. This is the only product here that comes out as a light liquid and bursts into colour when your break up the particles. Again, the coverage is just enough for those no-make up days, but will cover all of your blemishes or imperfections with a light base. This is similar to my new favourite L’Oreal BB Cream in medium, and I would say that I have been reaching for that more, but when that one runs out, I’ll definitely go back to using this for my lazy make up days. This is in shade 02 as the 01 was just too light for me. Next we have the darkest shade here, which is the not the right colour for me at all, but I thought I’d leave it in to show the difference between the two shades. This is the Clarins Tinted Moisturiser in Honey 02, and as you can see on the swatch, it is a much darker shade than you would imagine from that name. The next shade is Porcelain 00, which is much lighter and has a pinker tone. I am personally not one for pink toned moisturisers or foundations, yet the consistency is lovely and the finish is great from these two. I need to be in the middle of these two with the 01 Sand shade definitely, as that looks a lot more yellow toned and definitely more my skin tone. They are nearer to the medium end of the light-medium scale and I must say I also really like the packaging with these two. But I haven’t been overly wowed yet, but I think thats down to not trying the right shade unfortunately. Below I am wearing Porcelain with a little bit of bronzer to warm. Next up we have the Elizabeth Arden BB Cream and you can see my wearing it below and in this video. I love this BB Cream and I took it with me on my recent trip to America as a replacement for last years Nars Finland – only because I now use tan and Finland is too light. The SPF30 in both products is a total winner for wearing on holiday. The Elizabeth Arden shade however, is totally perfect when I brush some bronzer all over my neck to blend. I love the consistency and this is the ultimate dewy product. I love how it gives me so much radiance as well as medium coverage, but I would say that if you have oily skin this might not be the one for you in that case. The shade is perfect, the finish is beautiful and it is just a fantastic product. I’m on my second tube of this now and I will continue to buy it. And finally, the Balance Me BB Natural Perfection. This is a yellowy toned BB Cream, similar in tone to my Elizabeth Arden but with a slightly lighter consistency. The coverage is great, I’d say light-medium, so not quite as heavy as the EA, but it still covers and perfects really well. This also has a high SPF25 which makes it great for wearing alone on holiday and I personally really love the packaging design too. But it isn’t as dewy as the EA, so if you dont want a really dewy look, then perhaps steer towards this one, and the coverage is also lighter, but the overall finish is beautiful. 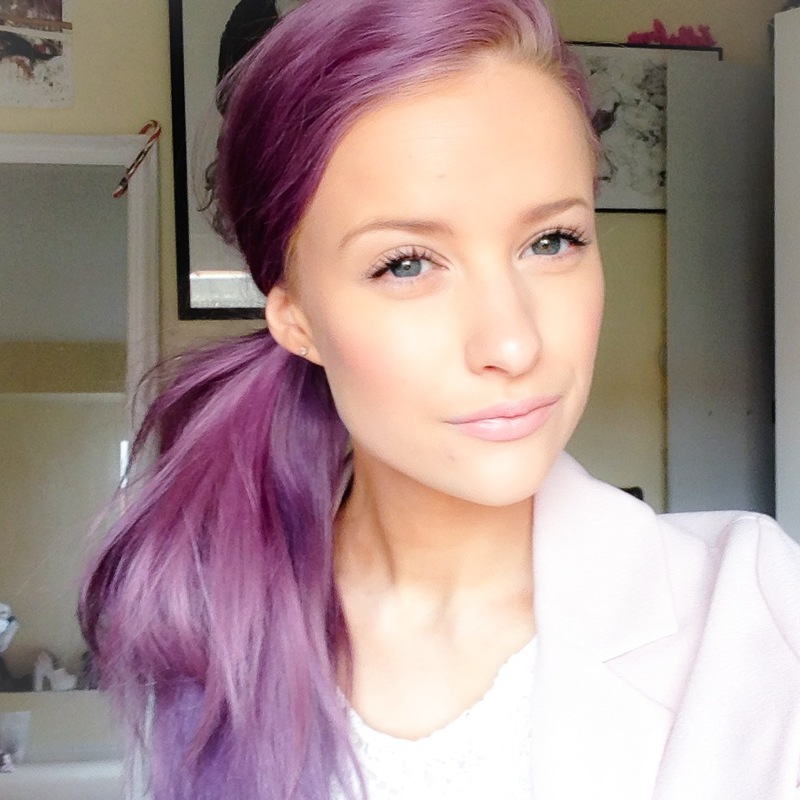 Im wearing it in the image below and you can see how lovely the shade and consistency is. And there we are. Seven fantastic BB Creams or tinted moisturisers with some definite recommendations in there. If you were to buy any without any price worries, I’d say go for Elizabeth Arden. If you are worried about price, then I’d maybe steer towards the Body Shop BB cream or tinted moisturiser depending on how much coverage you would like. Hopefully this also gave you some idea of shades and swatches and what swatch shade is best for you on the swatch scale I put together, I know I always find loads of swatches together super helpful when deciding on shades. Let me know if this was helpful and if you’re inspired to pick one of them up. Id love to know which inspired you most!